Swan Neck Pen The Logical Writing Solution. 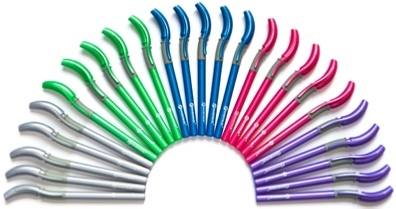 All models in the Swan Neck Pen range feature a unique, S-bend neck and grip area. This enables left-handed writers to hold the pen comfortably at a balanced angle and easily view all letters and words as they are written, just as right-handers do.